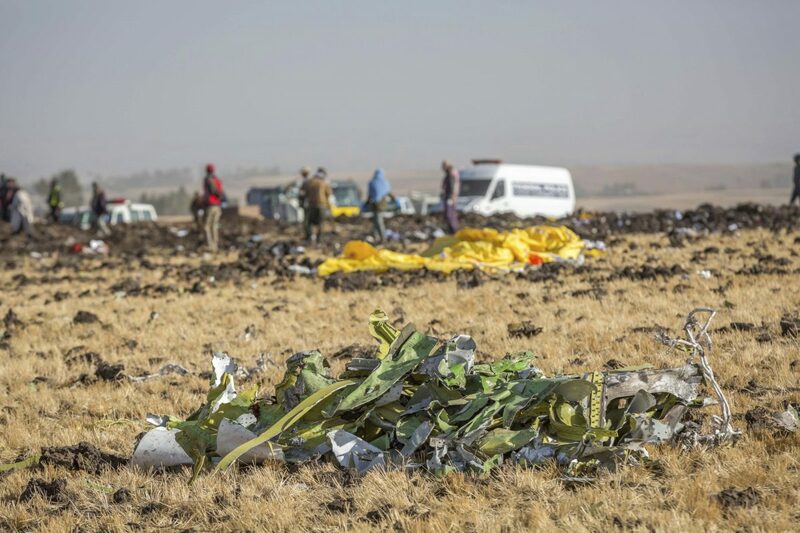 ADDIS ABABA/PARIS—Ethiopia said on Sunday, March 17, the crash of an Ethiopian Airlines plane that killed 157 people had “clear similarities” with October’s Lion Air crash, according to initial analysis of the black boxes recovered from the wreckage of the March 10 disaster. Both planes were Boeing 737 MAX 8s, and both crashed minutes after take-off after pilots reported flight control problems. 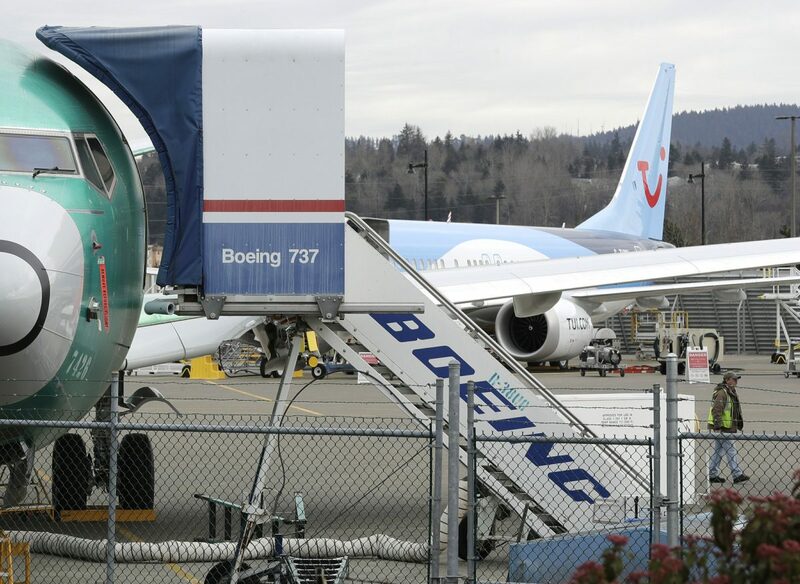 Concern over the plane’s safety caused aviation authorities worldwide to ground the model, wiping billions of dollars off Boeing’s market value. 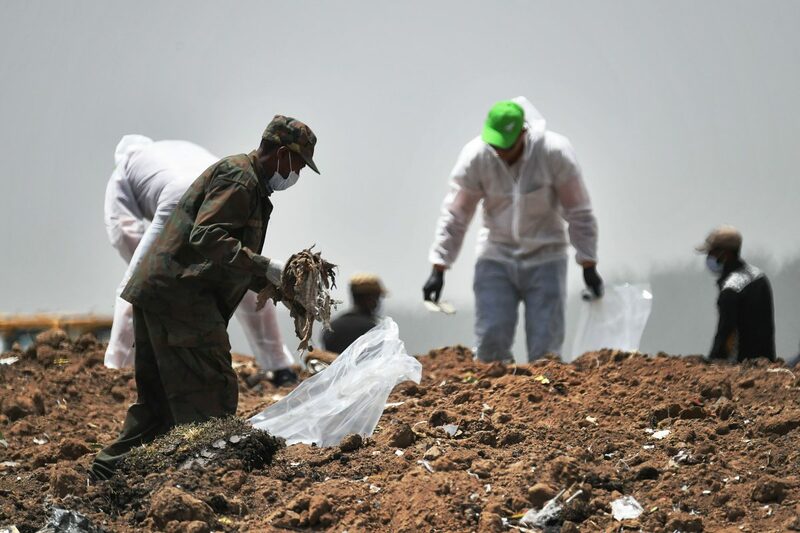 Investigators are trying to determine why the aircraft plunged into a field shortly after take off from Addis Ababa, searching for possible similarities to an October Lion Air crash that killed 189 people. “It was the same case with the Indonesian (Lion Air) one. 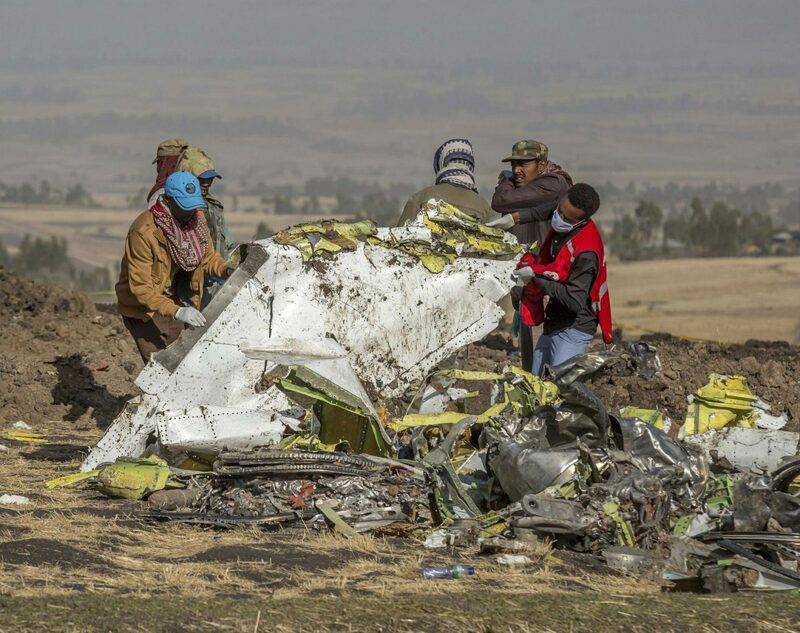 There were clear similarities between the two crashes so far,” Ethiopian transport ministry spokesman Muse Yiheyis said. “The data was successfully recovered. Both the American team and our (Ethiopian) team validated it. The minister thanked the French government. We will let you know more after three or four days,” he told Reuters. In Washington, however, officials told Reuters that the Federal Aviation Administration and National Transportation Safety Board have not validated the data yet. When investigators, after reviewing black box data, return to Addis Ababa and start conducting interpretive work, the NTSB and FAA will assist in verification and validation of the data, an official said. A second source said little information had been circulated between parties about the contents of data and voice recordings. It was not clear how many of the roughly 1,800 parameters of flight data and two hours of cockpit recordings, spanning the doomed 6-minute fight and earlier trips, had been taken into account as part of the preliminary Ethiopian analysis. It is not unknown for the broad reasons for a crash to be understood in the hours after data has been recovered, but experts say fuller analysis is usually needed too. The crash has generated one of the most widely watched and high-stakes probes for years, with the latest version of Boeing’s profitable 737 workhorse depending on the outcome. Previous accident reports show that in such high-profile cases there can be disagreements among parties about the cause. In Paris, France’s BEA air accident investigation agency said data from the jet’s cockpit voice recorder had been successfully downloaded. The French agency said in a tweet it had not listened to the audio files and that the data had been transferred to Ethiopian investigators. In Addis Ababa, a source who has listened to the air traffic control recording of the plane’s communications said flight 302 had an unusually high speed after take-off before the plane reported problems and asked permission to climb quickly. Under international rules, a preliminary report on the crash must be released within 30 days. The Seattle Times reported that Boeing’s safety analysis of a new flight control system on 737 MAX jets had several crucial flaws. The analysis of the system called MCAS (Maneuvering Characteristics Augmentation System) understated the power of this system, the Seattle Times said, citing current and former engineers at the Federal Aviation Administration (FAA). The FAA declined to comment on the report but referred to previous statements about the certification process. It has said the 737-MAX certification process followed the FAA’s standard certification process. 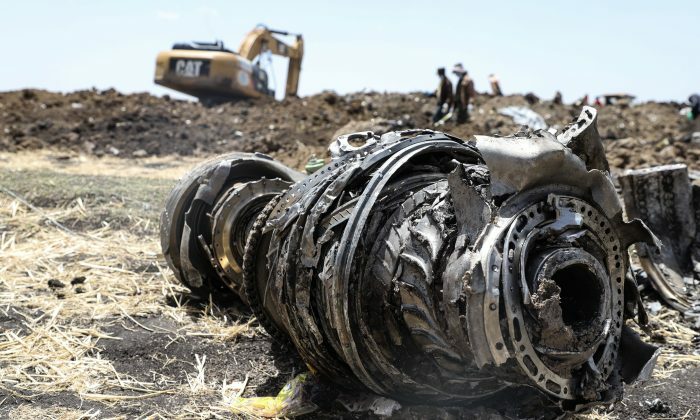 The report also said both Boeing and the FAA were informed of the specifics of this story and were asked for responses 11 days ago, before the crash of an Ethiopian Airlines 737 MAX last Sunday that killed all 157 people on board. The same model flown by Lion Air crashed off the coast of Indonesia in October, killing all 189 on board. Last Monday Boeing said it would deploy a software upgrade to the 737 MAX 8, a few hours after the FAA said it would mandate “design changes” in the aircraft by April. Boeing Chief Executive Dennis Muilenburg, in a statement on Sunday after the Ethiopian transport ministry’s comments, said Boeing was finalizing the software change and a training revision and would evaluate new information as it became available. A Boeing spokesman said 737 MAX was certified in accordance with the identical FAA requirements and processes that have governed certification of all previous new airplanes and derivatives. The spokesman said the FAA concluded that MCAS on 737 MAX met all certification and regulatory requirements. In Addis Ababa, aviation staff gathered at Bole International Airport to remember the two pilots and six crew, who perished along with the 149 passengers. Weeping women held single stems in their shaking hands. Banks of the white flowers, the traditional color of mourning, were placed in front of a row of empty coffins at the ceremony.